GREETINGS to all Catrike Owners owners! 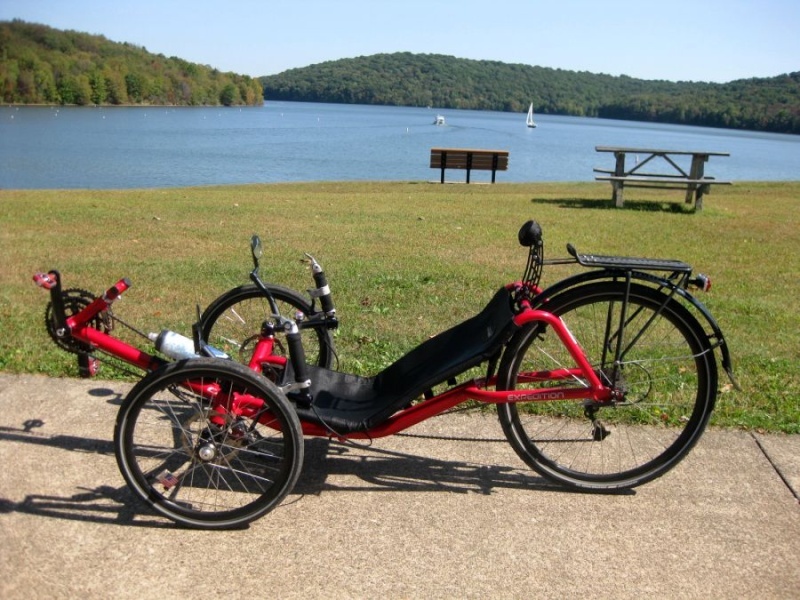 Please be helpful and friendly to all other Catrike Owners (how could you not, right?) and if you like this forum, tell your friends about it. 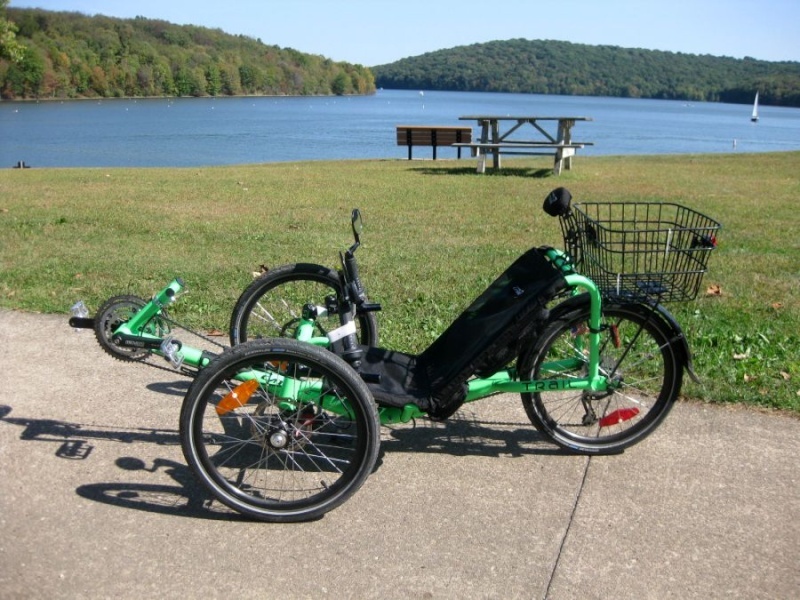 We want to make this the best resource available for Catrike Owners owners, and to do that we need your help! Questions? Experiences? Stories? Data? Photos? Articles? Links? Catrike stuff? Post it here! Well, we just got into the Trike thing and I'm kinda kicking myself for not doing it sooner, but, better late than never right? I've always wanted to get a Trike and I think we were really lucky to get these. They are very, very lightly used, less than 700 miles and very well taken care of. They look darn near new in fact. They came to us from a husband and wife up in Ohio. The husband could no longer ride due to some health problems and his wife just didn't want to ride without him, something I can totally understand. First my wife's Catrike Trail. It has been hard keeping her off of it ever since we got it. She really, really likes this bike. She has been acting like a kid all over again. I've heard more than quite a few "woo-hoo's" and laughs and giggles since she started riding it. My Catrike Expedition. I have to admit I NEVER thought it would be SO MUCH FUN!!!! There are a few modifications that I'm going to make on them, things like complete fender sets since I don't really care for the fenders that are on them, especially the one on the Expedition. I'm also going to switch out the rack to a Tubus Cargo that I have in my garage. Kathy really likes the simplicity of her basket so for now that will stay. I've already ordered and a couple of flags from Purple Sky, in fact they should be here today. The rims were drilled for Schrader valves so I got some rubber grommets and will insert them as needed since I have a LOT of spare tubes lying around but all with presta valves. I've also put my Garmin eTrex Vista GPS on the expedition. I want to get 2 Bladders for water instead of the bottles, I'm not too sure what to get although I'm thinking the FastBack Hydration Pack from Teracycle would fit rather nicely. If anyone has any suggestions, I'm all ears. I'll post more pictures as I go along with whatever modifications we make on these. I do Rick...I swear I do!!! !